Update: a recording of the webinar is available to all registrants. See the link below to register. My colleague and friend Chuk Shirley’s employer, Sabel Steel, just won COMMON’s Innovation Award for an application created by Chuk. According to IBM’s Alex Gogh, Chuk’s application won because of its innovative business process improvement that saved money and prevented errors, while integrating Sabel’s core IBM i-based application, based on RPG and DB2, with traditional industry tools such as a scrap-metal weighing scale and newer technology such as an ID-card scanner, iPad, and PHP. Have you ever learned something you really needed to know, made a valuable contact, discovered a better way to do things, decided on a future direction, as a result of attending a conference? Have you found ways to save money for your employer or company? Avoided a mistake or taken advantage of an opportunity that was good for business? I’m writing an article about the value of technical conferences, especially from the business viewpoint. Please send me your anecdotes (could be one sentence long) about dramatic value that you’ve obtained from attending a conference, or if you are the employer or manager, the value of sending your employees to conferences. You can leave comments here on this blog post, or write to me privately on my contact page. Last night I gave a talk at the FASUG user group about how to use PHP as a powerful general utility language that can be called from CL programs on the IBM i. I also showed how Zend Server’s new Job Queue feature can accomplish similar goals–scheduling and automating PHP scripts–using a pure PHP interface rather than CL. I also discussed the IBM i’s latest PHP package: Zend Server for IBM i. I explained its similarities to and differences from Zend Core. Here are the PowerPoint slides. We’d love to meet you at one of our upcoming events or speaking engagements. EVENT ORGANIZERS can find our current list of sessions/labs here. Below you’ll find a sampling of handouts and links to other resources. It’s not always easy to locate the official documentation for all features of DB2 for IBM i. Google Search often returns irrelevant results from other varieties of DB2 or from older versions. Yet complete reference manuals are available for almost every aspect of DB2 on i. Here are links to some of my favorites. PHP developers on IBM i have a new way to access resources such as RPG and COBOL programs, system commands, data areas, and more, using a new, free, flexible, open source toolkit, supported by Zend. Tips to help computer workers avoid repetitive strain injury and stay poised at work. Includes how to arrange your computer workstation and learn healthy postural habits. A personal approach that blends my years of work as a professional software developer with my training as a Feldenkrais® teacher. Formerly called Healthy Computing. In this webinar recording, Alan Seiden and Mike Pavlak explore tips on caching, Apache settings, PHP syntax fundamentals, diagnosing bottlenecks, DB2/SQL optimization and more. 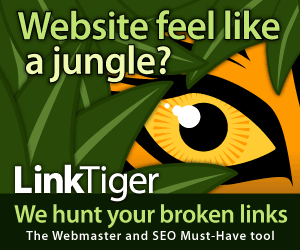 LinkTiger broken link checker is the best service I’ve found. It graphically shows you exactly where your broken links are. A service such as this is great for dynamic websites, to ensure that search engines and users can see all your pages. These resources are a good start for anyone learning secure PHP programming practices. Essential PHP Security (Chris Shiflett) Concise, clear explanation of web security concepts, teaching “filter input, escape output” clearly.